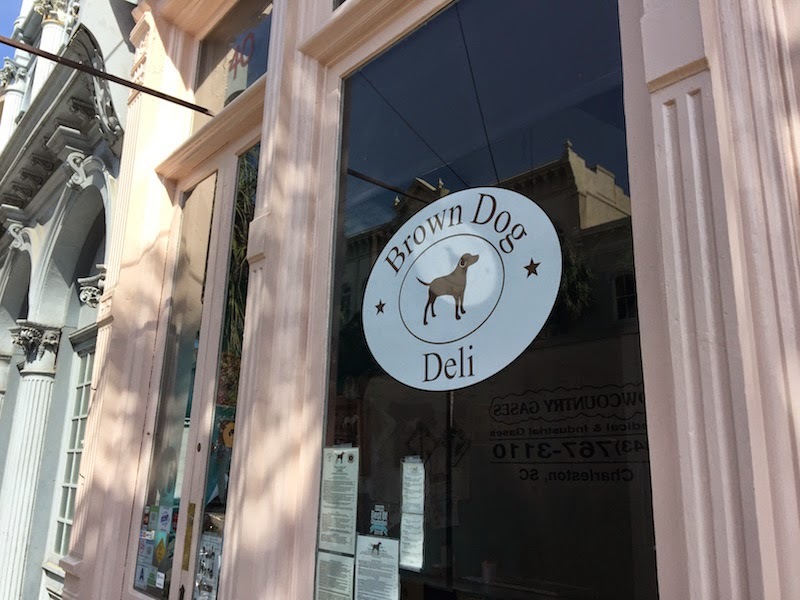 As I was walking around the French Quarter of Charleston, I noticed a guy wearing a Brown Dog Deli t-shirt. I love restaurant T-shirts and since it was right near where I was, I checked it out. I'm glad I did as my Pig N Fig sandwich was very good. 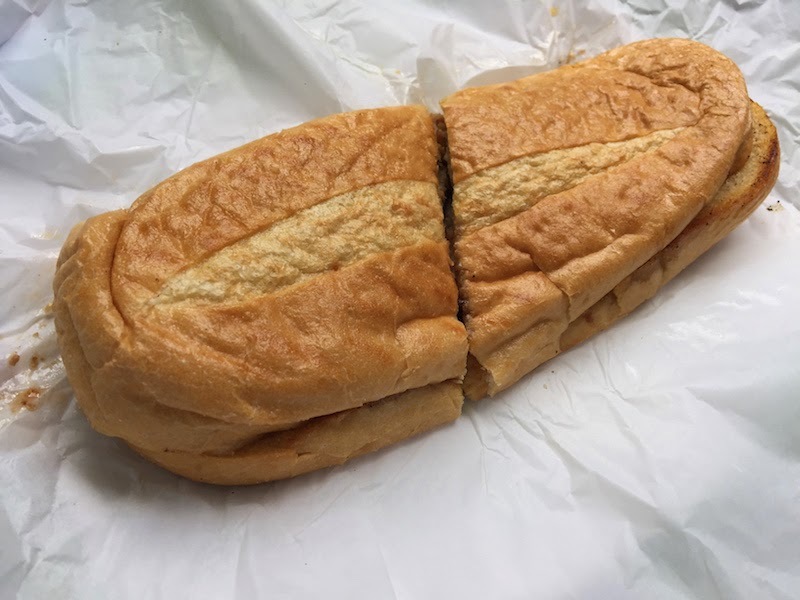 Read my review of the Pig N Fig Sandwich at Brown Dog Deli in Charleston's French Quarter after the break. 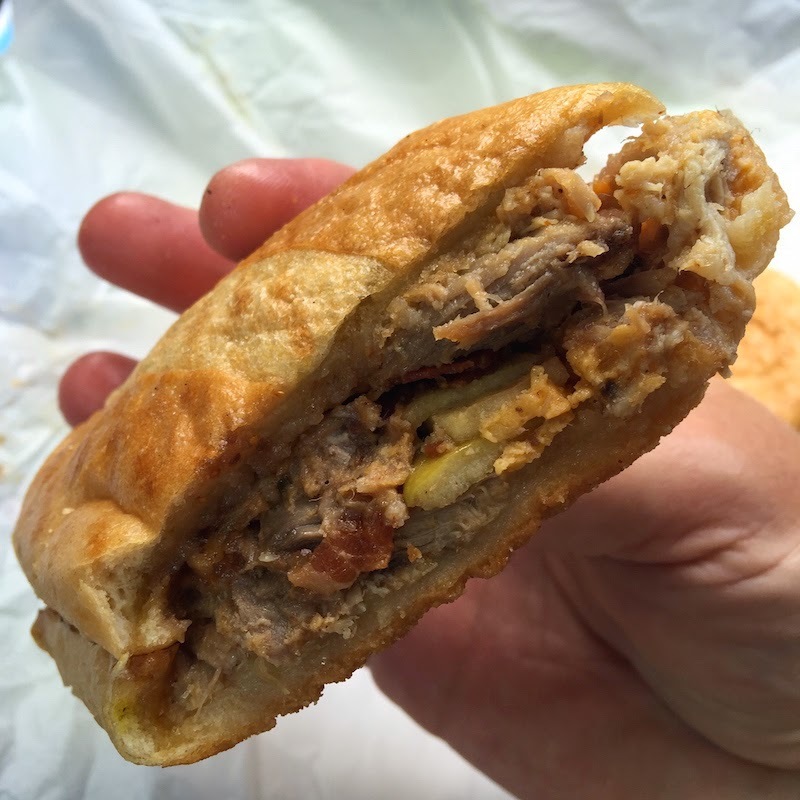 The Pig N Fig sandwich at Brown Dog Deli is pulled pork, fig-rosemary preserves, Granny Smith apples, apple-wood smoked bacon, and cheddar cheese on a panini-pressed local french baguette. The fruit flavors mixed really well with the pork, and having everything pressed together in a hot sandwich made this really delicious. I got mine to go, and it held up really well. Some sandwiches don't travel well but this panini definitely did. 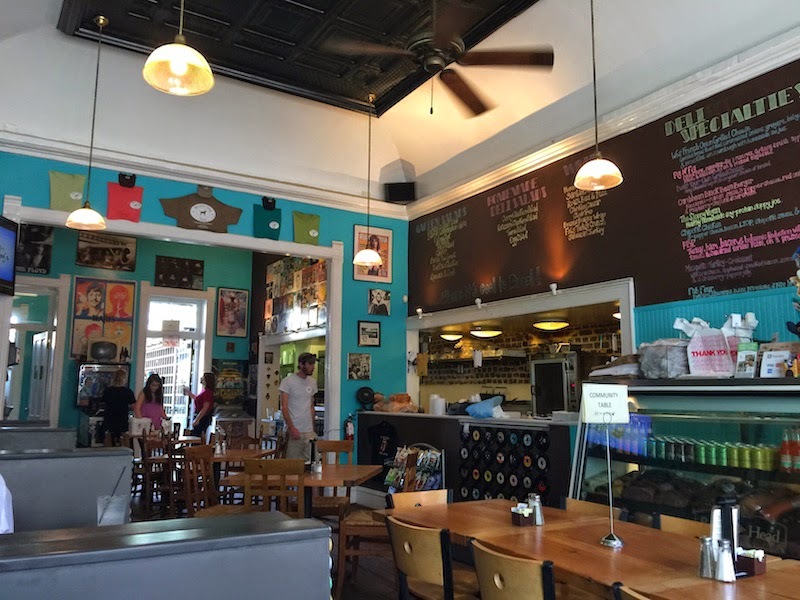 Be sure to check out Brown Dog Deli when you are in Charleston.